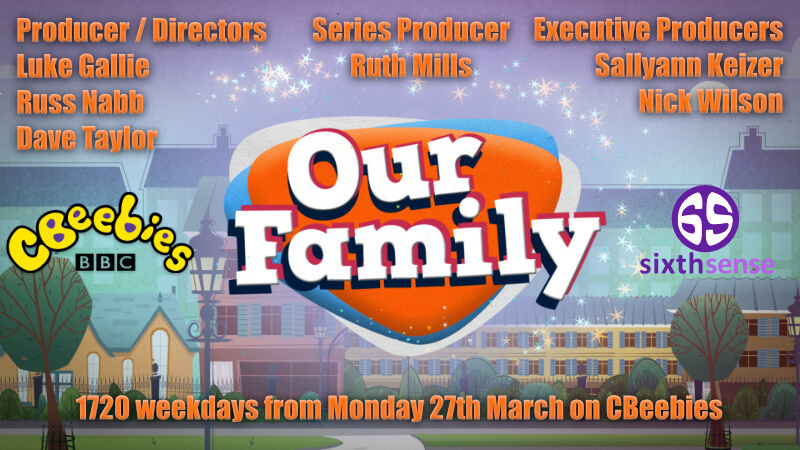 The brand new series of the top rating observational documentary series Our Family starts Monday 27th March at 1720 on the CBeebies Channel and we’ve got 8 more fantastically fun families ready and waiting to share their lives with you! Since October the Sixth Sense team has been on the road, travelling across the country, to capture those magical childhood moments. Throughout the series we’ll meet a whole range of families, all special in their own way, and children at home will be able to both relate to, and learn from, the different dynamics. We’re also thrilled to have the lovely Rebecca Keatley back narrating the series! Check out a sneak peek of the first episode here. And why not get your little ones to draw a picture of their family and upload it to the CBeebies website.